Entrepreneur Sam Hersh founded Family Films in 1946 to create spiritually driven entertainment for the entire family. Top Hollywood talent enhances these four inspired shorts from Family Films. 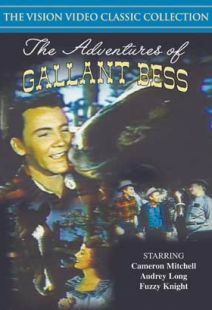 Former Child star Dickie Jones takes on grown up roles in 2 of these scripture-driven tales, and actress Gale Storm, on the brink of TV fame as My Little Margie, shows off her considerable acting chops. 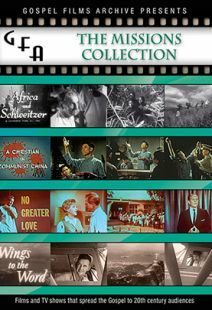 The Family Films Collection is part of the Gospel Films Archive, a multi-volume collection of rare and vintage Christian movies produced in the 20th century by independent Christian producers as well as major Hollywood studios. 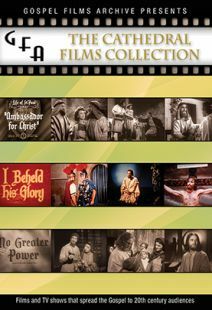 These vintage movies demonstrate how the Christian message was communicated to 20th century audiences through visual media. 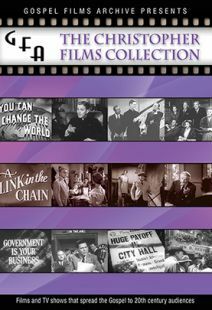 They also provide a heartwarming nostalgic experience that fans of classic movies will love. Though they are from a bygone era, these films often tackle subjects that remain surprisingly relevant for contemporary audiences. 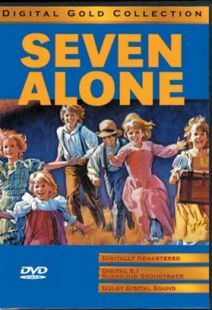 This My Son — 1954 - Family Films / 28m — This is the parable of the Prodigal Son (Luke 15), set in 1950's rural America. A young man sells his interest in the family ranch only to become seduced by big-city life. Missionary to Walker’s Garage — 1961 - Film Services / 28m — Young Mark wants to be an automotive engineer, but his parents want him to join the clergy. Demonstrates the “all things work together” point of Romans 8:28. 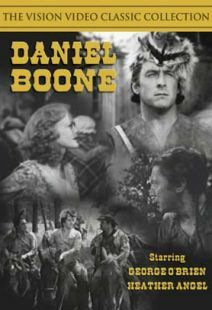 Rim of the Wheel — 1951 - Family Films / 23m — Virginia Sutton’s social life leaves her little time for family and faith. That is until an eccentric elderly neighbor provides some playful but “Fatherly” advice. Honor Thy Family — 1951 – Family Films / 27m — An immigrant Italian father and son learn to appreciate each other in a charming blend of the prodigal son and “honor thy father and mother” messages. These films are entertaining, very much to the point, and offer a glimpse of the gospel and Jesus teachings from a very different culture that existed only a short time ago.